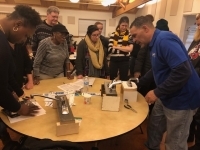 The beginning of 2019 brought more workshops from the Home Repair Resource Center to the community. Following those offered in 2018, January and February provided classes on ceramic tile installation and faucet repair at the Lakefront Community Center in Euclid. 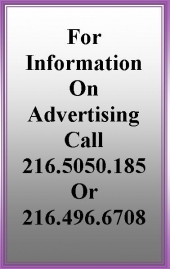 Each class seems to draw in more registrants expressing the interest in learning about and completing their own home repairs in Euclid and neighboring cities. David Brock and Wesley Walker from the Cleveland Heights' based Home Repair Resource Center continue to showcase their knowledge and educate the participants on safe and successful home repairs. At the end of the workshop, residents continue to compliment the program and ask when the next class is. This partnership has proven to be a success in Euclid and we look forward to additional workshops this summer. Home Repair Resource Center's tool library is also available to Euclid residents thanks to the City's partnership with the organization. Tools for projects large and small are available for rent to anyone looking to complete renovations, instead of buying their own or renting from a home improvement store. The cost to belong to the tool library is $25 a year, and the majority of tools are free to rent. Whether you have a taken a class or not, any Euclid resident is welcome to join. Additionally, Euclid residents are always invited to take classes at HRRC's Noble Road location, which offers rotating workshops on a regular basis.